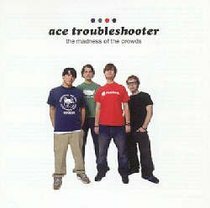 Ace Troubleshooter continue to do what they do best, delivering fast and furious pop punk and genuinely challenging lyrics that move away from the mundane. Fans of Relient K, Blink 182 and Boxcar Racer have to hear this exellent follow up to their awesome debut release! About "The Madness of the Crowds"